Marvel Studios‘ Black Panther took the top spot at the domestic box office for the fifth straight weekend, an achievement last reached by Avatar in 2009 and before that The Sixth Sense in 1999, making it only the third movie to achieve this in the last 19 years. The film added $27 million to push its North American total passed the $600 million mark with $605.4 million. It is now the No. 7 domestic release of all time. Internationally, Black Panther earned another $30 million to take its overseas total to $577.1 million (with $96 million of that coming from China) and worldwide sum to $1.183 billion, passing both Captain America: Civil War ($1.153 billion) and Minions ($1.159 billion) to become the No. 14 movie of all time globally. The Ryan Coogler-directed film stars Chadwick Boseman, Danai Gurira, Michael B. Jordan, Lupita Nyong’o, Martin Freeman, Daniel Kaluuya, Letitia Wright, Winston Duke, Angela Bassett, Forest Whitaker, and Andy Serkis. 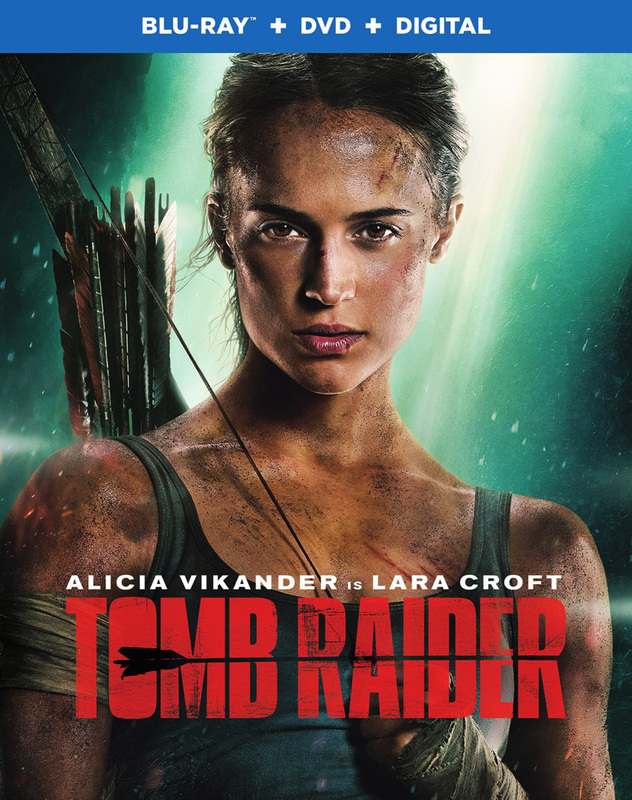 Warner Bros. Pictures and MGM’s new video game adaptation, Tomb Raider, opened in second place domestically with $23.5 million from 3,854 theaters, an average of $6,104 per theater. 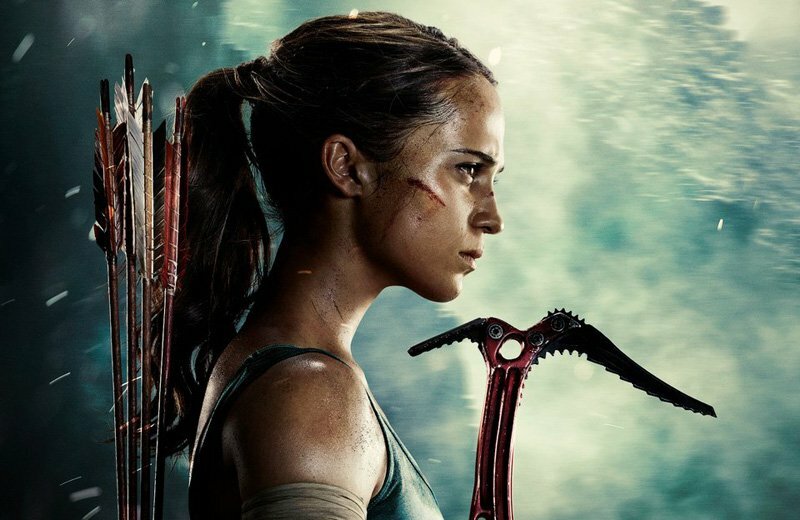 The movie, starring Alicia Vikander as Lara Croft, topped the international box office with $84.5 million from 65 markets ($41.1 million in China alone), which brings the overseas total to $102.5 million and worldwide tally to $126 million. Made for $94 million, the Roar Uthaug-directed film received a B CinemaScore from audiences. It also stars Dominic West, Walton Goggins, Daniel Wu, Sir Derek Jacobi, and Kristin Scott Thomas. Lionsgate/Roadside Attractions’ release of the Erwin Brothers faith-based family drama I Can Only Imagine opened in third place with $17.1 million, for a per-screen average of $10,475 from 1,629 locations in North America. The film received an A+ CinemaScore. Made for just $7 million, The film stars Dennis Quaid, Cloris Leachman, Trace Adkins, J. Michael Finley, Priscilla Shirer, and Madeline Carroll. Disney’s A Wrinkle in Time dropped two spots to fourth place with $16.6 million its second weekend, for a total of $61.1 million domestically. Internationally, the adaptation is at $10.6 million to take its overseas total to $10.6 million and global total to $71.7 million. Directed by Ava DuVernay, A Wrinkle in Time stars Storm Reid, Levi Miller, Deric McCabe, Oprah Winfrey, Reese Witherspoon, Mindy Kaling, Chris Pine, Gugu Mbatha-Raw, Zach Galifianakis, Michael Peña, and André Holland. Rounding out the top five domestically was director Greg Berlanti’s Love, Simon, the adaptation of the novel starring Nick Robinson, Josh Duhamel and Jennifer Garner. The film earned $11.5 million from 2,402 theaters, an average of $4,788. Made for $17 million, Love, Simon received an A+ CinemaScore. Also, Jumanji: Welcome to the Jungle is crossing the $400 million mark at the domestic box office today. It’s a big milestone for Sony Pictures as it is only the studio’s second film ever to accomplish the feat, along with 2002’s Spider-Man. Sony is projecting $1.65 million for the weekend from 1,556 locations for a total of $400.27 million. The film has earned over $940 million worldwide and is globally Sony Pictures’ second-highest grossing film ever, behind Skyfall ($1.108 billion). Directed by Jake Kasdan, the $90 million-budgeted film stars Dwayne Johnson, Jack Black, Kevin Hart, Karen Gillan, Nick Jonas, and Bobby Cannavale.